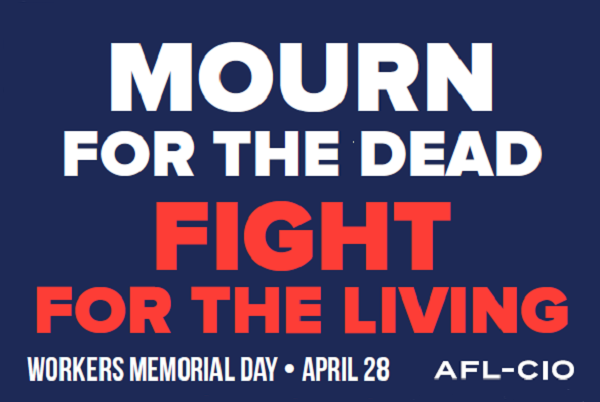 On Monday, April 30, the IAM will gather at the Winpisinger Center to observe Workers’ Memorial Day and remember those who have suffered and died on the job. We will also commit to fighting until all workers have safe jobs and the freedom to form unions to seek a better future. We will toll a bell in honor of each of our lost members whose lives were ended due to occupational injuries or illnesses and give special recognition to those who have advocated for our members. In remembrance of those who lost their lives, we will hold a short service at the Lighthouse Monument in the Winpisinger Center’s Workers’ Memorial Park. The program will begin promptly at 11 a.m. on April 30.